Last week I shared that my word of the year is Wellness. We briefly went through what wellness is. Today I am going to dive a little deeper into all eight dimensions of wellness. I want you to see how you use your own word of the year to guide your goals, and your life strategy, for the year to come. Oftentimes people will choose a word of the year because they think it is the right thing to do. Then they have trouble using it to their advantage. That is not what we want! We want our words to be an amazing guide. Something that we can easily look too and see whether we are moving in the right direction. Not that we have arrived, but that we are making those small steps necessary to get to where we want to be at the end of the year. I feel like it is a bit of a cop-out to choose wellness as my word. Why? The pure fact that wellness has those eight dimensions within it to become whole. Wellness is not just about physical healing, although that is a part of it. Instead, it includes all facets of your life. I would argue that using wellness as my word of the year gives me an opportunity to work on all.the.things. 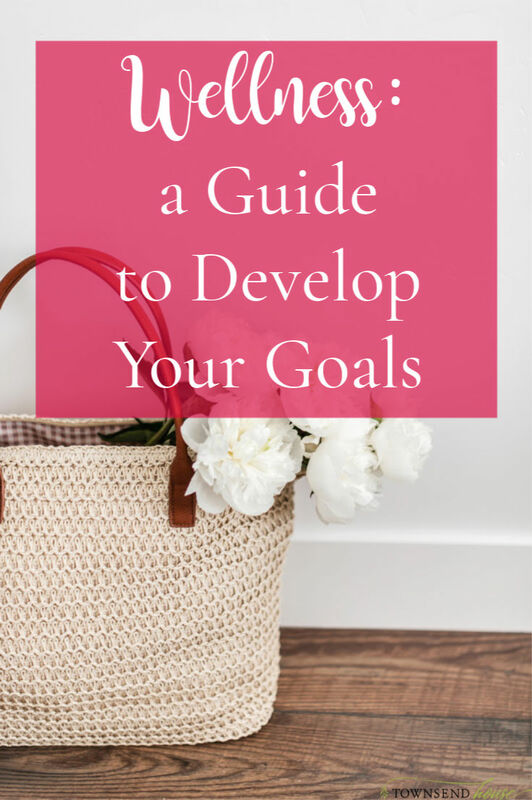 Even though I prefer to be very detailed with my goals, and really drill down on them, having these eight areas helps me work on all aspects of my life. 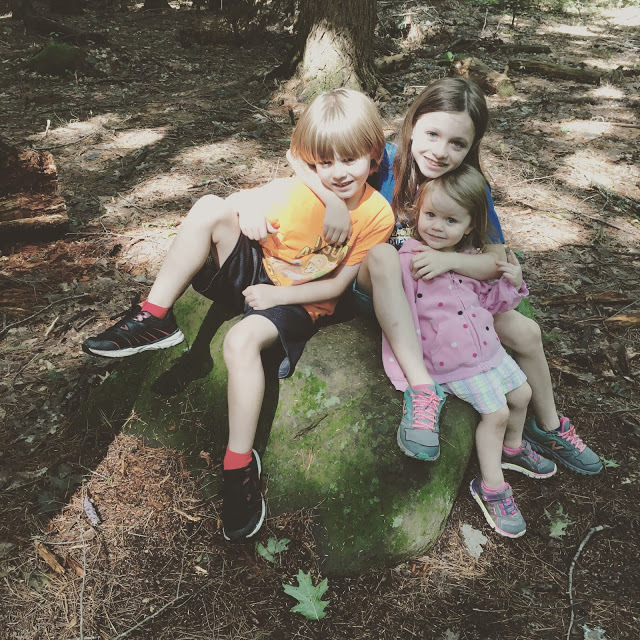 If you are looking for more encouragement and tools to help you cultivate simplicity in your home and homeschool, please join us in the Townsend House Community below! Before we begin I want to put in a little disclaimer that I am not a doctor. I don’t pretend to be one on TV. None of the information that I share is meant to be a diagnosis, and if you are struggling with your health, you ought to consult your doctor. When you look at those eight dimensions, don’t you feel better about moving forward? I certainly do. I know that not everyone will be using wellness as a word. However, this is going to guide me, both here at Townsend House as well as in my personal life, and I am so excited about it! Just listing those eight areas doesn’t go deep enough. What do the eight dimensions actually mean? I’m glad you asked! Emotional Wellness is the ability to cope with the world around you. You want to be able to deal with different situations easily. Emotional wellness is where you see that come to fruition. Someone who is healthy in this area will be resilient. They will have strategies to cope with life’s challenges. Finding an outlet for your emotions is an excellent way to achieve wellness in this area. Listening to music, singing, reading, picking up a hobby. All these are contributors to a healthy level of emotional wellness. Spiritual Wellness is being in right in relationship spiritually. I am a Christian, and one of the most important aspects of spiritual wellness for me is having a close relationship with Jesus. This can be done through regular prayer, Bible reading, being in fellowship with other believers. These are all aspects of spiritual wellness that can be worked on throughout the year. When you have a strong sense of spiritual wellness, you can easily identify your values and find calm in your being, knowing you are on the right path. Intellectual Wellness is the ability to grow in your learning. Whether that is through reading books or picking up some sort of new skill. Then using those skills to be able to improve another area of your life. Books are huge for me. Every year, since I started writing book goals, I have had the goal to read 100 books in a year. I rarely get to that 100 book goal, but it does make me continuously strive for great books to read. I tend to lean towards non-fiction and memoir type books, and I find that there are always a lot of really great pieces of information available to learn and implement in my own life. It is about challenging yourself to do something new and out of your comfort zone. I definitely recommend it! Physical Wellness is most likely what you think of when you hear the word “wellness.” You want to make sure that your physical body is in good working order. That means being a healthy weight (not necessarily where you were pre-kids! ), eating the right foods for your body, and one that often gets overlooked – good sleep habits. Of all the dimensions of wellness, this is usually the easiest to measure. Have you changed your diet to eat the foods that make you feel good? Are you getting enough sleep each night? Do you feel like you are at a healthy weight so you don’t feel sluggish all the time? All great questions to ask! Environmental Wellness is just that – your environment. This is where you live, where you spend your time. It is one that I have concentrated a lot on over the years. Originally, before I started focusing on homeschooling, Townsend House was all about green living. What is green living? 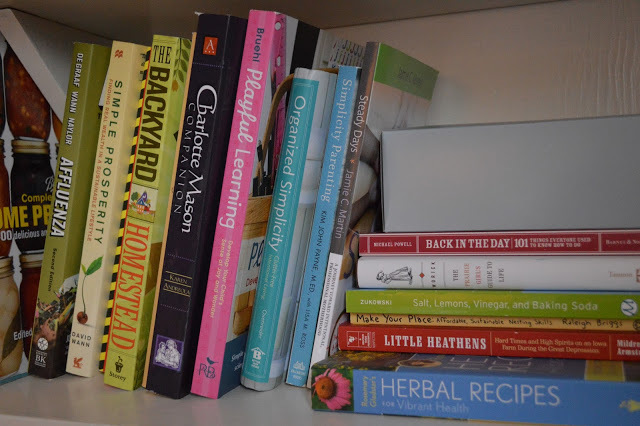 Getting rid of all the chemicals in your environment that you possibly can, essentially being more “crunchy.” But, a big area that now occupies environmental wellness is clutter – and specifically surface clutter for me. We don’t have any closets in our house. Weird, but true! So everything is visible. This can cause a lot of stress. Environmental wellness would be feeling a sense of calm and relaxation in the places you occupy. This doesn’t mean we stop at your house either. It is also your car and the places you visit. Do they bring you a sense of calm or stress when you enter them? This might be my favorite area of wellness to talk about. Financial wellness has been on my mind for many years. What does it mean exactly? It means that you are able to not be stressed about money! That you are able to provide for your family, and not have that constant burden of trying to figure out where the money is going to come from. Seems super simple, right? Of course, it is not. I know most of the mamas visiting here are dealing with one income. We have made the choice to homeschool, and saying yes to homeschooling often means saying no to the two-income family that so many Americans are used to today. Financial wellness is so important to me, I think I am going to dedicate an entire month to it in February. Stay tuned! Occupational Wellness means that you are happy with your occupation. Whether that is being a stay at home mom, or a homeschool mom, or a work at home mom, or even a work outside of the home mom. All of those can translate into your occupation. You want to be fulfilled by the work that you do. Does that mean that you are always going to be happy doing the dishes, or putting in another load of laundry? Well, most likely not. But, wellness is the overall feeling of satisfaction with your occupation. Occupational wellness can also include balance between work and leisure time. While I don’t believe that full balance the way you think of it most times – ie you did a great day of hard work but were also fully engaged with your kids and their individual projects and goals – occupational wellness shows when you may be leaning too far to one side. The final dimension is Social Wellness. This means that you have the right relationships with the people outside of your immediate family. Your friends, your church community, your local community. All of these are included in social wellness. When you make a point to have those outside relationships, this allows your children to see their importance. We were created to be in community with one another, and so when we are outside of a community, we are not socially well. There are a lot of preconceived notions that introverts are not social. I would like to say that is completely the opposite of how I feel. Being social is a very important part of my life, but I do need to make sure that I have time to recover after being with my friends and community. 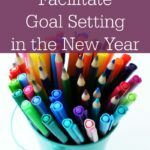 But how do you use a word to guide goal setting and the year ahead of you? I’m so glad you asked that question! You will use your word to filter your goals and decisions throughout the year. We all know that having a benchmark to look towards when making a decision is helpful. For me, looking at Wellness will help to guide me. You look at your word, and you look at your goal, and you will figure out if that goal is the right goal for you right now. It might be a goal that is perfect for right now, or it might be one that you need to put off for a month or even a year. That is OK! Right now I want you to think about your word. 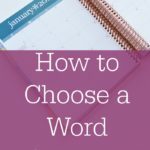 If you haven’t decided on a word, or are having trouble coming up with something – let me know! I would love to help you figure that out. You can e-mail me directly here. We can work through it together. But, if you have decided on a word, sit down and really flesh out what that word means. What is the definition of that word? What are some synonyms associated with it? Why is it important to you? Now I want you to think about one of your goals. Again, if you haven’t written out your goals yet, that isn’t a problem at all! I definitely recommend using Lara Casey’s PowerSheets if you are struggling. She also has a 6-month un-dated version if you aren’t up for an entire year of goal planning just yet. Back to your goal. Think about that one goal and run it through with your word. Does it line up? Does it seem a little far fetched? Is it just perfect for what you want? 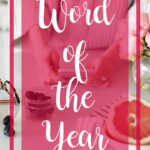 If I think about my word of the year as wellness and set a goal to go out with friends once every week for the entire year – would that satisfy my wellness word? This is where it can get a little complicated, and you will have to think a little more about it. It definitely meets the social wellness category, but it does not meet overall wellness. I know that if I go out once a week with friends I will be physically and emotionally drained. And that does not line up with my goal of wellness. It is also a little unrealistic with our life situation for me to leave once a week to go out with friends. An alternative might be to attend a small group with our church once a week. This we already do. It meets a social need my entire family has, but it doesn’t overwhelm me to think about all the stuff I will have to do when I get home. Now, going out once a week with friends might seem inconsequential to you, or it might be something that you already do, and that is amazing. But, personally, I know that it would be a stretch, and it would not be in my overall best interest. Measuring that goal against my word of the year shows me that it may be a good goal, but it isn’t for right now. Instead, I shift the goal to being a community gathering. Now it satisfies several parts of wellness, not just social wellness. I will be sharing about how wellness is going to guide our community at Townsend House over the next year. It is something that I am really excited about and I hope that you are excited to join me! If you aren’t part of the Townsend House Community, I would love for you to join below! 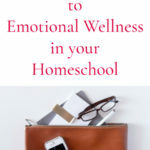 This is where I send out encouraging notes about what we are doing in our home and homeschool, as well as tools that we have designed to propel you to the next level you are seeking. I can’t wait to hear from you! What is your word of the year? How are you using it to guide your goal setting? Is it a cop-out for me to choose wellness since it addresses every aspect of my life all in one tidy package? !